Science tells us again and again, we don’t smile enough. Considering smiling can improve your mood, reduce stress, and make you more approachable, it only makes sense that you should showcase your pearly whites. At Frederick Smiles Dental Care, we believe that your smile is beautiful, no matter what. But just like anything in life, there’s always room for improvement. Your smile should be something that instills confidence, as well as something that you are proud to share. Our cosmetic dentistry options at Frederick Smiles Dental Care are just some of the reasons we were voted as the best dentist in Frederick and Germantown. We think your smile should be as magnetic as you are, and we would be honored to help you get there. Take a look at some of our cosmetic dentistry procedures, and book your next visit with our dental clinic today! Cosmetic dentistry is a dental practice in which the procedures are primarily focused on aesthetic value. Whereas general dentistry involves making sure your teeth are healthy and cared for, the main reason people seek cosmetic dentistry is to improve the appearance of their smile. That being said, replacing missing teeth or other cosmetic dental procedures can have health benefits as well—it’s just that the primary focus is on the aesthetics. Understanding why cosmetic dentistry exists and how it works provides the necessary background to understanding how different procedures can help you. 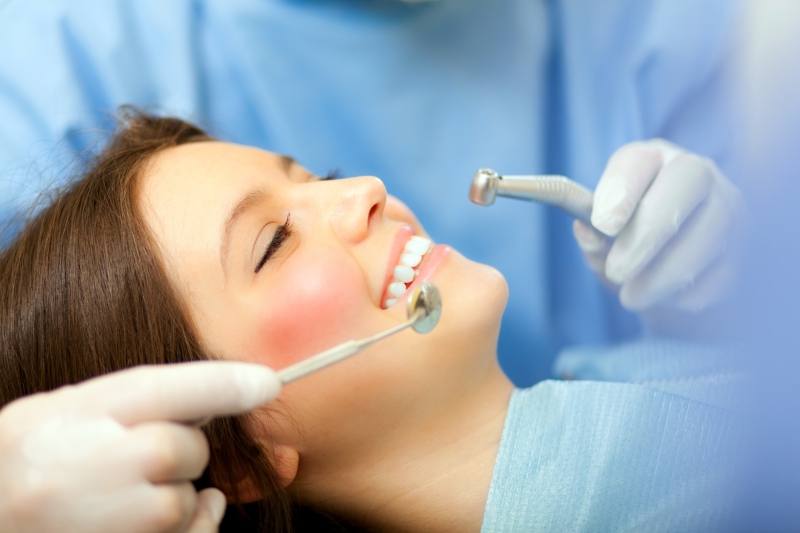 Read on to see how our dentists and cosmetic dental practices can help you! This is one of the most popular examples of cosmetic dentistry. Having stained or discolored teeth can be easily remedied with our professional teeth whitening services, leading to a brighter smile. You can get teeth whitening done at our dental clinic, or you can even work with our dentists to get at-home whitening that mimics that of the in-patient treatment. The only difference is that coming to our dental clinic means you will likely see results in just over an hour, whereas at-home treatments takes at least 10-14 days. Whichever route you choose, you can trust that our teeth whitening services will make your smile one that you want to show. For people with significant tooth loss, full or partial dentures can serve as an excellent cosmetic procedure. This not only improves your quality of life, but can prevent facial muscles from sagging, as well as help enhance your speech. Our dentists are experts at getting you fitted for this cosmetic dental procedure, creating dentures that can last (and comfortably at that). A porcelain veneer is a thin shell that is bonded to a tooth, and they are placed over discolored or broken teeth. They give the appearance of a flawless smile, while adhering to the integrity of your natural teeth and smile. Many people opt for porcelain veneers as a solution for discolored or stained teeth, as well as to cover any chipped teeth. They are incredibly stain resistant, last pretty long, and can even help strengthen and protect your teeth. In tooth bonding, a tooth-colored resin is applied to the tooth, and then a dentist blends it over the tooth to create a flawless smile. Some advantages to tooth bonding include that it can be completed in one visit, is more affordable, and doesn’t require any additional lab work or x-rays. Tooth bonding is often applied in places where a gap exists in your smile and tooth alignment. While many think of braces as a metal-filled mouth that brings up cringe-worthy memories of middle school, adults can get braces that are far less revealing. We help our patients get the teeth alignment they are looking for through Invisalign®, a corrective procedure that is transparent, and fits right over your existing teeth. This is a great way to see more lasting effects for your smile, and having properly aligned teeth can help combat headaches, overbite, and so much more. There are any number of cosmetic dental procedures that Frederick Smiles Dental Care can help you with, all of which are instrumental to you getting the style and the smile you’re looking for. Call our dental clinic today to get the best in cosmetic dentistry!